Helldivers is out today on PlayStation platforms. 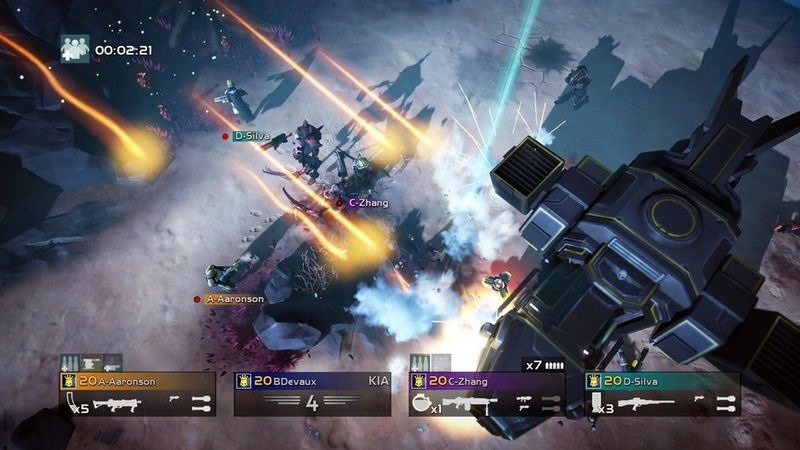 It’s a top-down shooter, like the ones of old, with a focus on co-operative gameplay. Set in a dystopian future, it requires lightning reflexes – especially seeing as players need to avoid shooting each other. Yup, there’s friendly fire in this one. And it’s apparently awesome. Developed by Arrowhead games – the folks behind Magicka – It’s been getting some rather stellar reviews. Here’s what critics have to say about the game. With its sledgehammer humor and clever blend of stealth and action, Helldivers is a lot smarter than a passing glance might have you believe. It’s a game in which life is cheap but the deaths aren’t, where carelessness gets you turned into kibble, and sustained battle will leave you with an empty gun and a horde of pissed off monsters. The life of a Helldiver is nasty, brutish, and short… but it’s a heck of a lot of fun, it’s hard not to laugh even when you’re getting torn to shreds, and that final shuttle flight makes all the horrors worthwhile. 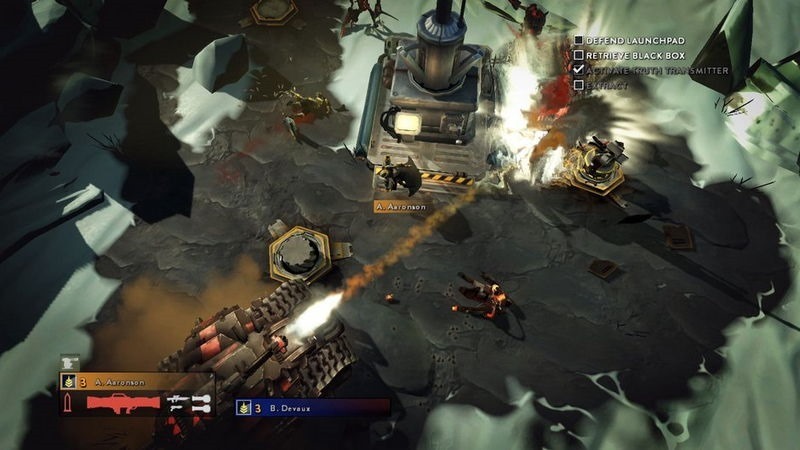 Helldivers is a hugely entertaining space romp, despite bearing a few battle scars. It is truly a game designed for precious water cooler moments, when you can tell stories of fights barely won, and anecdotes detailing white-knuckle flights from insatiable hordes. The deafening cheers heard through my microphone as the last living member of the team squashed a bug tank with three reinforcement pods, turning the tide back toward victory, is forever etched in my mind. Imperfect as it may be, Helldivers’ focus on the cooperation of a small team looking out for each other against oppressive waves of enemies elevates it from what would have been a fun and challenging shooter, to a game that now sits at the top of my list of how I plan to spend many future evenings: with a gun in hand, my allies at my back, and a broad smile on my face. 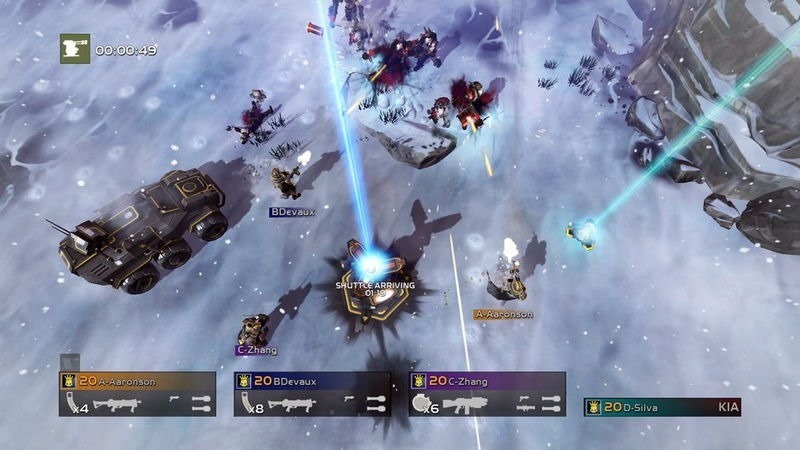 Helldivers is an entertaining ride and a great co-op experience. The amount of unlockables and the solid core mechanics should keep players coming back. 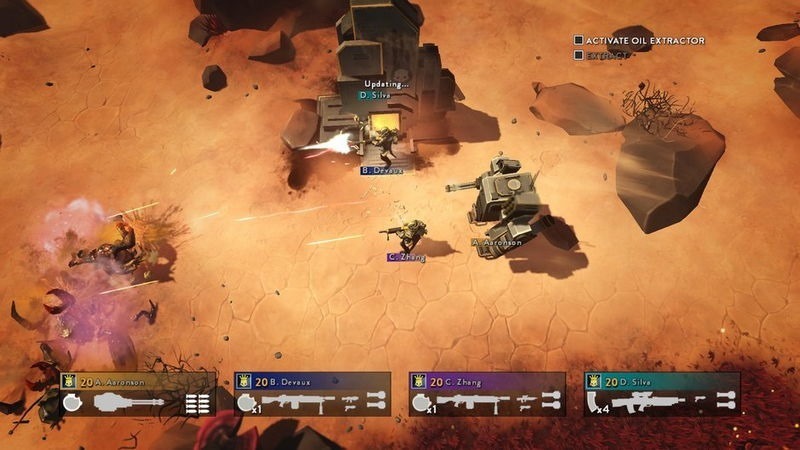 There are other twin-stick top-down shooters on the PS4 and more are coming, but the added strategy and challenge that comes withHelldivers sets it apart. It’s the Starship Troopers game we deserve. If you are craving a new co-op game, Helldivers deserves your time and attention. And remember the only good bug is a dead bug so do your part and pick up a controller. With friends, Helldivers provides a brilliant and addictive co-op experience full of thrills, spills, and hilarious accidental deaths. Gameplay is quick, satisfying, and often chaotic, and the stratagem system gives the action a unique identity. The only question mark here is the one that hangs over the title’s community, which must be sustained if the shooter is to realise its impressive potential. As a caveat, you’ll need to be online to play the game, much like Destiny – as everything contributes towards a global war effort. Beyond that, it sounds like an amazing game – pretty much everything Destiny tried to be, only in third person, and more fun. . The coolest thing about is that it’s cross buy too- so $20 will get you the game on the PS4, PS3 and Vita. You can even do cross play – so two on the PS4, one on the Ps3 and a fourth on the Vita, in the same game. That’s black magic.